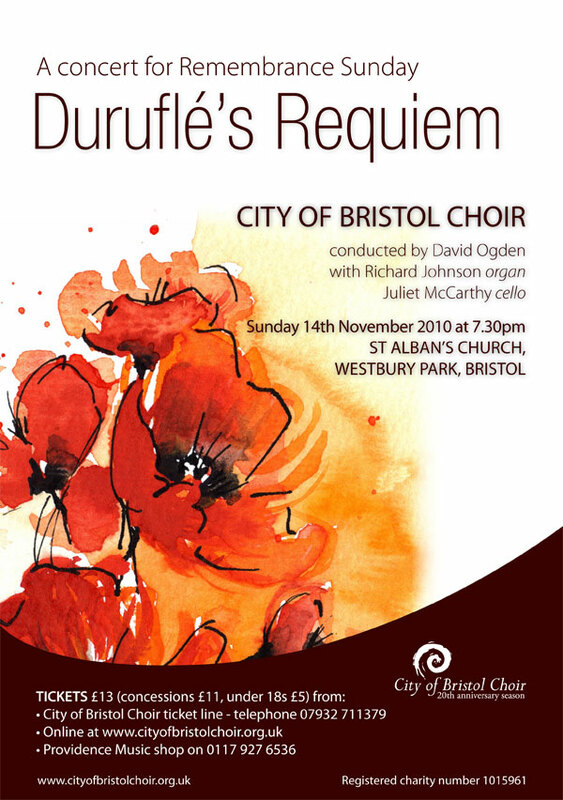 Sunday 14th November 2010 at 7.30pm City of Bristol Choir continues its 20th anniversary season with Remembrance Sunday concert of reflective and meditative choral music at St Alban’s Church, Westbury Park, Bristol. The choir is joined by professional cellist Juliet McCarthy to perform works which reflect the themes of peace and reconciliation, including In War, a setting by Malcolm Archer of words by Winston Churchill, Barber’s Agnus Dei, Fauré’s Elegie and John Tavener’s Threnos for solo cello. 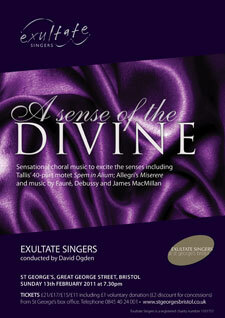 Duruflé’s atmospheric setting of the Requiem mass completes the programme. Its combination of timeless plainsong melodies with hushed celestial harmonies contrasted with dramatic outbursts from the choir and organ make it a moving piece to hear live in concert. The concert is given in support of the work of the Royal British Legion. Tickets are £13 (£11 concessions, £5 under 18s) available from City of Bristol Choir ticket line on 07932 711379 or online at www.cityofbristolchoir.org.uk/141110.php. The remainder of the season will include performances of Bach’s Mass in B minor and Monteverdi’s Vespers of 1610 with His Majesty’s Sagbutts and Cornetts. 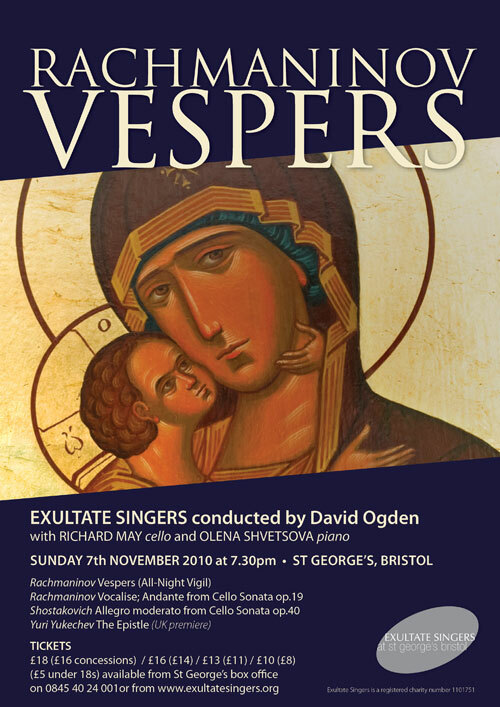 Sunday 13th February 2011 at 7.30pm David conducts Exultate Singers in a performance in the round of Tallis’ 40-part motet, Spem in alium, in St George’s Bristol. The concert also includes Allegri’s Miserere mei and works by Lili Boulanger, William Harris, Eric Whitacre, Jaako Mäntyjärvi. Tickets are priced from £10-£20 (discounts for concessions), available from St George’s box office on 0845 40 24 001 or online.